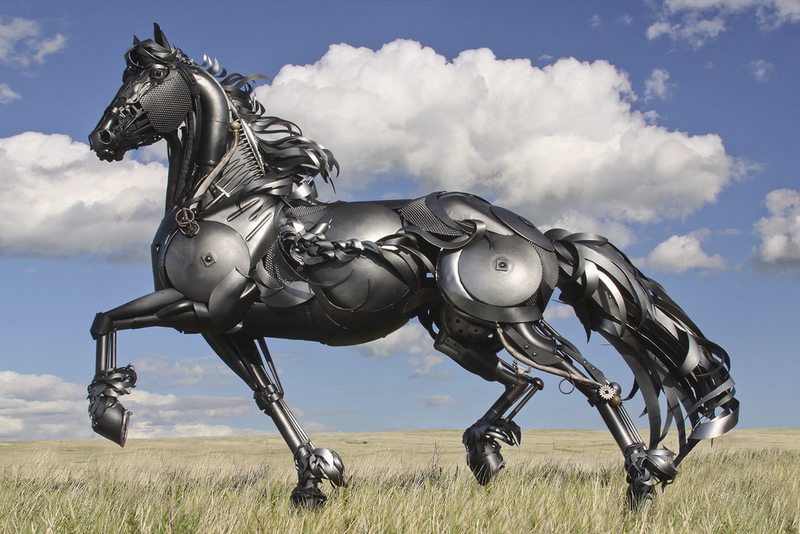 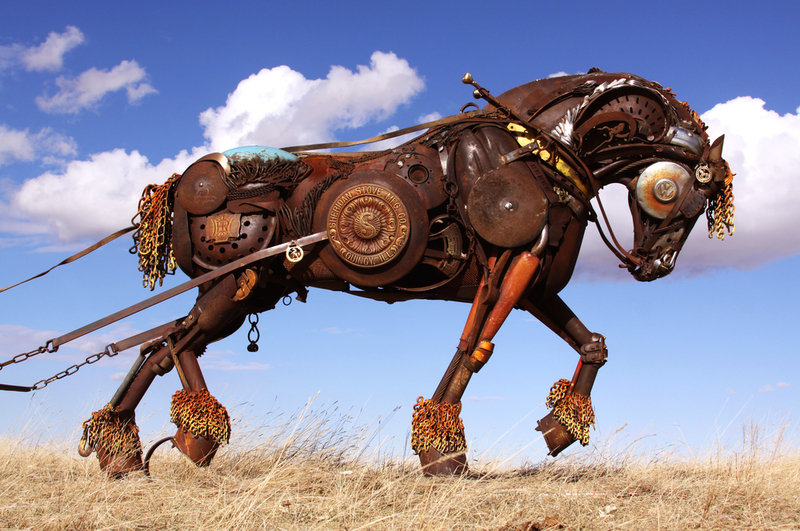 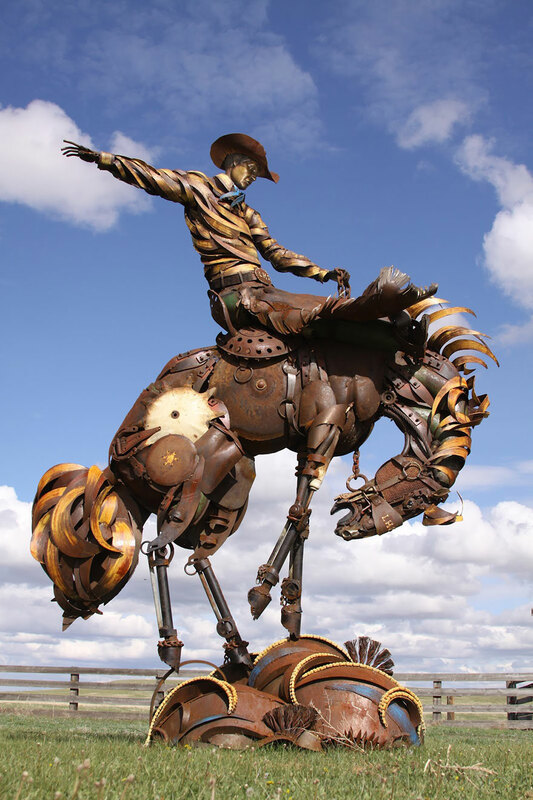 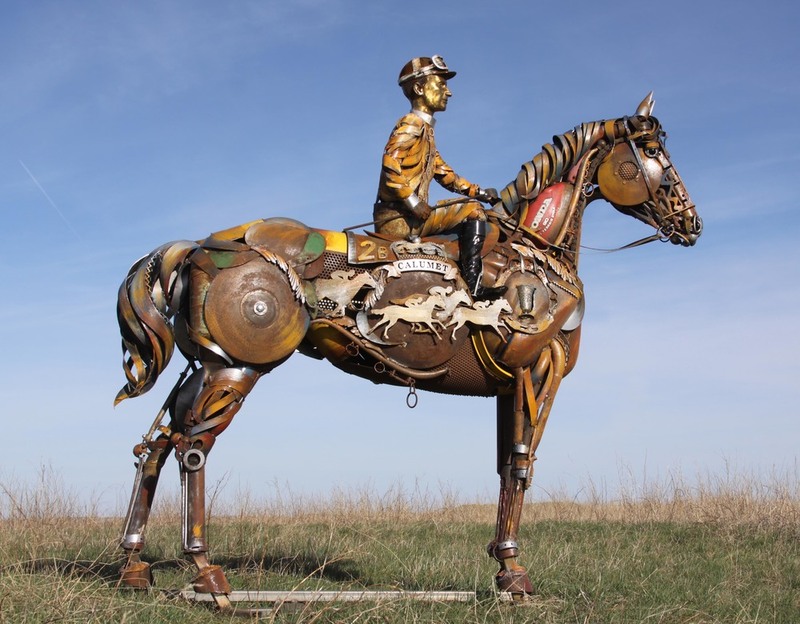 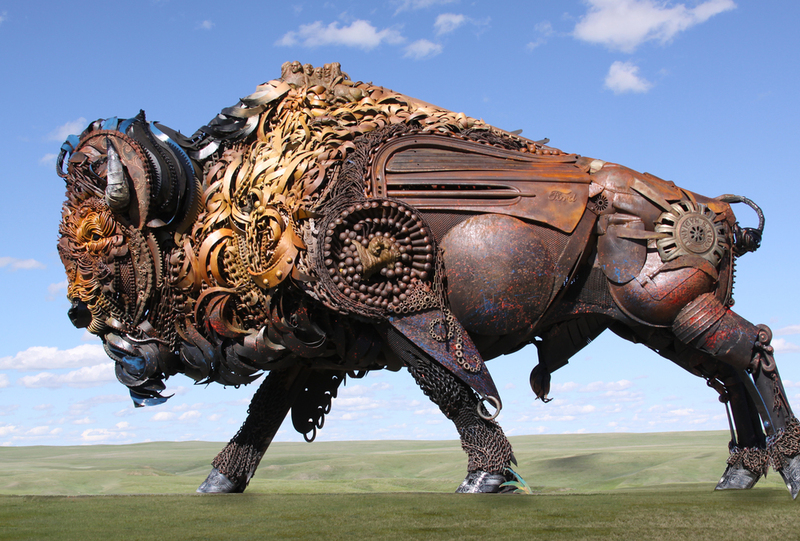 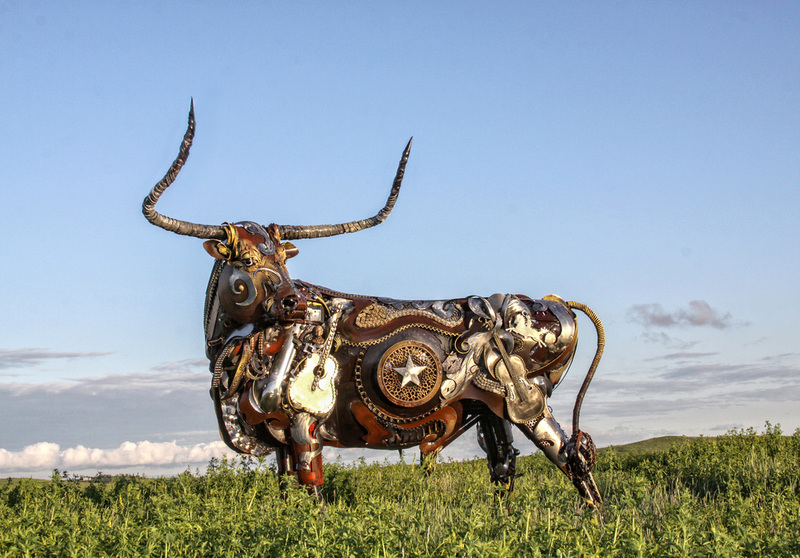 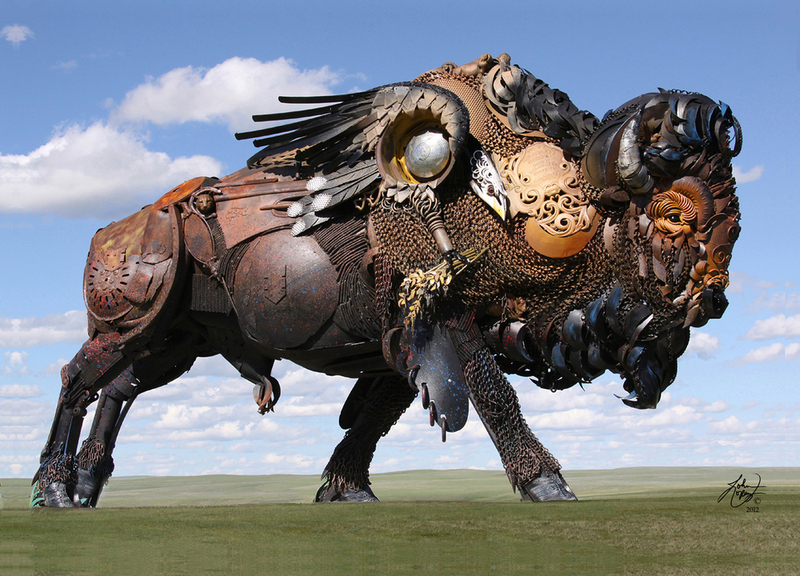 South Dakotan sculptor John Lopez creates life-sized scrap metal sculptures with a uniquely Western American twist. 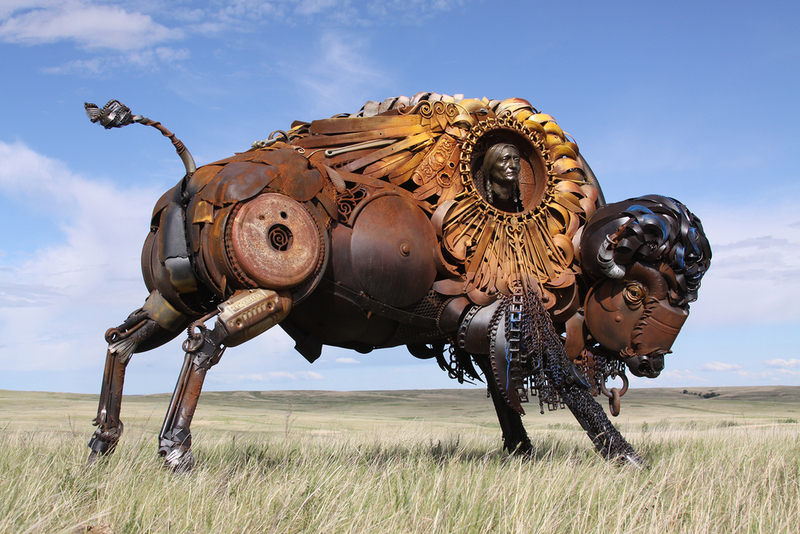 In his hands, old discarded farm equipment is recycled into sculptures of iconic creatures from the American West like a bison, a horse plowing a field, or a Texas Longhorn. 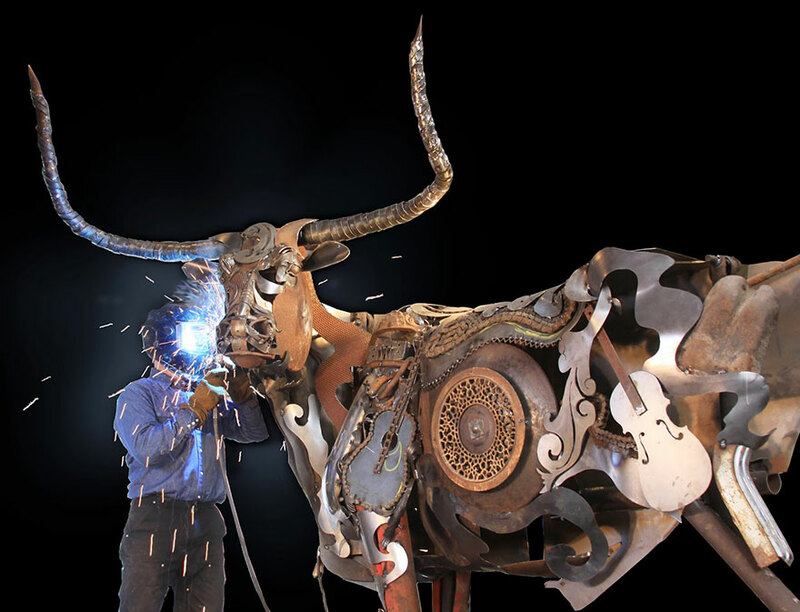 Lopez already had a career as a bronze sculptor, but after creating a family grave for his deceased aunt using scrap metal, he began creating recycled metal sculptures out of found or donated pieces of metal as well.